I managed to get two seemingly identical receivers, one of them has wide possibilities of working with wired and wireless networks and another has the full set of technologies by Dolby for a video playback. I decided to make Yamaha RX-V483BL vs Yamaha RX-V385BL comparison, in order to consider the possibilities of playing audio and video in modern formats. 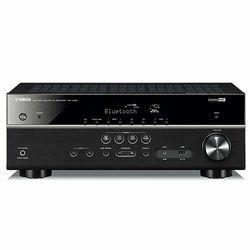 In my Yamaha RX-V385BL vs RX-V483BL review, I want to compare the video and audio abilities of both receivers. 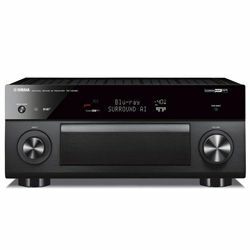 Yamaha RX-V385 is a 5-channel receiver with a good amplifier that gives 70 watts/channel. Thanks to its good characteristics, the receiver Works great with my video projector in high resolution and with natural color reproduction. Yamaha RX-V483BL has a more powerful amplifier with the output power of 80 watts/channel. But its ability is more focused on sound reproduction due to supports of DTS technologies. 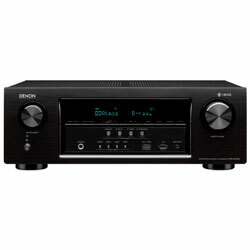 The receiver provides the crisp and sharp sound with any type of speakers. Connecting and setting up both receivers is simple and does not take much time. Like any Yamaha AV receiver, both models are equipped with a proprietary system of automatic sound calibration YPAO. The setup is done after connecting the supplied microphone and launching YPAO. Receivers come in 2 body colors - black and white. The case design is traditional for receivers, with perforations on top for cooling. As part of the Yamaha RX-V385BL vs Yamaha RX-V483BL review, it should be noted that the front panel is divided into two parts. The upper part is glossy, has an informative display, a power button, and a happy receiver settings buttons. The lower part of the front panel is matte, painted in body color. There are buttons receiver, volume control, 2 ports for headphones, a microphone, and USB port. The back panel is fully occupied by the connection ports (digital and analog). 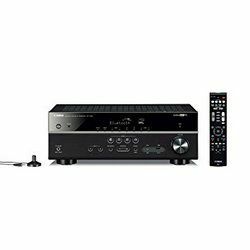 Yamaha RX-V385BL supports playback of HD audio via Yamaha Cinema DSP technology for providing natural sound imaging, which makes the sound more sharp and saturated. The device significantly heats up during operation. The firmware of Yamaha RX-V385BL does not recognize the iOS devices as a storage device via USB. Proprietary technology Yamaha MusicCast will create a wireless multiroom system based on the Yamaha RX-V483, and Airplay and Wireless Direct will provide an opportunity to work directly with mobile gadgets via Wi-Fi. 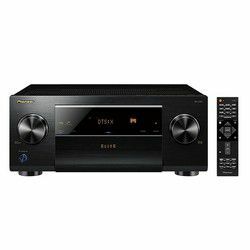 The receiver utilizes original DSP technologies from Yamaha for creating the sound scene for each user purpose like movie theaters for films or concert halls for music. Sometimes when watching TV, sound and image are not synchronized.